On January 15, 2019, NYS released its budget for fiscal year 2020. This budget includes a provision which would legalize adult recreational use of cannabis in New York State. This change would provide myriad business opportunities both to entrepreneurs interested in starting a cannabis businesses, and to existing ancillary businesses which could serve the cannabis industry. What kind of cannabis businesses are authorized? There are several distinct licenses that are authorized under this legislation as noted below. Adult-use cultivator license – Cultivation includes planting, growing, cloning, harvesting, drying, curing, grading, and trimming of cannabis. Adult-use processor license – Processing includes blending, extracting, infusing, packaging, labeling, branding, and otherwise preparing cannabis products. Adult-use cooperative license – authorizes the licensee to acquire, possess, cultivate, process and sell cannabis on a cooperative as published in the International Cooperative Alliance of 1995. Adult-use distributor license – authorizes the licensee to acquire, possess, distribute and sale of cannabis from a licensed adult-use processor to a licensed adult-use retail dispensary. Adult-use retail dispensary license – authorizes the licensee to acquire, possess, and sell cannabis to cannabis consumers. On-site consumption license – authorizes sale of cannabis products for consumption on-site to cannabis consumers. It’s important to note, that there are restrictions on the kinds of licenses that the licensees can hold in tandem. For example, an adult-use cultivator licensee may not also hold an adult-use retail dispensary license. Unsurprisingly, the regulation in the language of this legislation is pretty stringent. Some of them are listed below. Record keeping, both of inventory and of financial transactions is mandatory. This is an area where an experienced accounting and tax advisory team is crucial. The law requires certain invoicing documentation, retention of books and records, detailed inventory tracking, and records of the source of all cannabis product held and sold. Hire a professional to help you set up a system and maintain that system. The law requires that the premises be inspected by the state on a regular basis. These inspections include not only inspections of the cannabis products, but also for fire, health, safety, etc. just like any other business. Expect inspections! Packaging will be regulated by NYS. The law already provides certain restrictions on how packaging must look, and operate. It also leaves the door open for further regulations to be put forth by NYS at a later time. For now, the requirements include separate packaging for each serving, resealable, child resistant, shall not be attractive to minors…etc. Be responsible about making sure that only adults have access, and that they know what’s in it. Independent laboratory testing is mandatory. Although licensees may have testing equipment, and perform testing themselves, such testing will not satisfy this requirement. The results of the testing must be retained by the licensee. It appears that NYS is going to assign a testing facility to you. If you’re a lab – get on NYS’s list of labs. Advertising regulations seem to mirror similar regulations for alcohol. Cannabis cultivators distributors, and retailers are all also subject to specialized regulations for their segment of the industry. More to come from DKB on those. There are significant provisions to promote both women- and minority-owned businesses getting involved in the cannabis industry. In addition, there are provisions seeking to provide extra weight in licensing applications to members of communities or groups which have been disproportionately impacted by enforcement of cannabis prohibition in NYS. The budget has only just been released – it must still make its way through the legislative review process. DKB will be watching the developments closely. 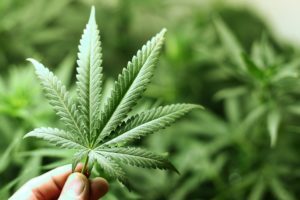 Cannabis in New York State – What’s Next? Will Banks get a Hit of the Cannabis Industry?